by Alyson Noel, No L.
Daire Santos just saved her grandmother's life--and her soul. But at a cost. The Richters, a dark family of sorcerers, have been let loose in the Lowerworld, and Daire and her boyfriend, Dace, must once again work together to find them before they upset the balance between good and evil, and destroy not only their small town in New Mexico, but the entire world. 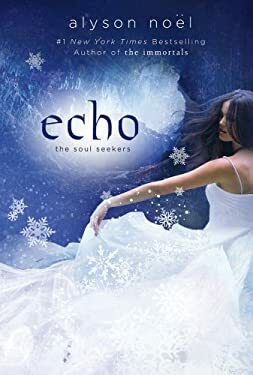 As Daire and Dace's relationship deepens, Dace's evil brother Cade grows stronger than ever, building his power and forcing Daire to confront the horrifying prophecy that has brought them all together. One that will leave Daire no choice but to claim her true destiny as Seeker, but only by making an unthinkable sacrifice for the greater good of all.